Angels are messengers from God. They protect us, guide us, or carry out other heavenly tasks. Therefore, angel dreams symbolize a greater force that is watching over us, directing us, sheltering us, or trying to show us something important, which is hidden. 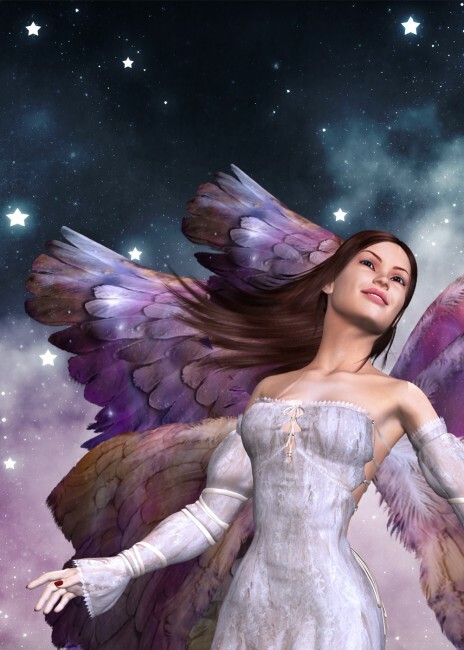 The important part about angel dreams, is in translating the message within, based on what is currently happening in our spiritual and physical life. The message can be a shared joy of something divine that has happened, a blessing of good things to come, or a warning of something we should prepare for. To interpret our dream, we want to pay special attention to the angels. What were the angels wearing? What is the color and texture of their wings? What were the angels carrying? Is there only a single angel or multiple angels? 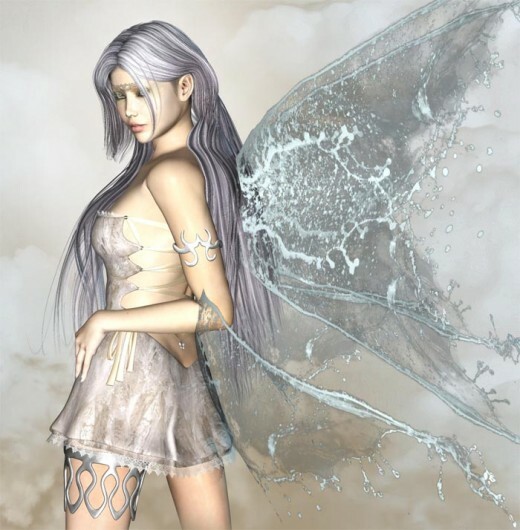 Are our dream angels male or female? What were the actions or expressions of the angels? The color and material of the angel’s clothes and wings, are part of the message that they convey. White clothes and wings indicate purity, peace, blessings, and rejuvenation. We may be at peace with ourselves and our life. Alternatively, the white angels may be telling us that to achieve inner peace, we need to seek greater spiritual support, need to be cleansed, and need to focus on the purity of our actions. Colorful clothes and wings suggest playfulness and joy. We may be looking forward to something happy and hopeful in our future, which could be a new relationship, new job, promotion, inheritance, or some other good fortune. Black clothes and wings signal a warning of some kind. Our physical or spiritual well-being could be in danger, we could be burdened by sin or guilt, and we may need to take some action to heal ourselves. White clothes and wings indicate purity, peace, blessings, and rejuvenation. The items held by the angels or carried on their person, will also have great significance. We want to examine each object carefully, explore what each of them symbolizes, as well as what they each mean to us. Objects of knowledge such as a book or scroll, indicates greater clarity for the future, and confidence in our actions. Objects of war such as a sword or staff, signals that we may be experiencing some inner turmoil in our life or some disturbance in our soul. We may need to do battle to regain our spiritual equilibrium. Objects of love and peace such as an olive brand or a dove implies hope, care, devotion, and self-sacrifice. We may have a difficult journey ahead of us, but we have faith in a brighter future. Food and drink suggests that we are in need of spiritual nourishment. We may be feeling depleted and tired as a result of our daily struggles. The angel may be telling us that we need to take some time for ourselves, and refocus on our inner self and spiritual well-being. Objects of war such as a sword or staff, signals that we may be experiencing some unusual disturbance in our soul. A single angel indicates a purity of purpose and action. We need to cast off distractions, and focus on the thing that is most important to us. Three angels signals harmony, completeness, and the divine. Indeed, the triad or trinity is a powerful symbol with deep roots in culture and history. In Greek mythology there are three Fates, the triad also plays a central role in Celtic religion, and of course, there is the Holy Trinity. Therefore, a message carried by three angels is very potent, and may involve all of our body, mind and spirit. Multiple angels suggest good fortune, divine support, or spiritual fortitude. Angels guard and guide us. Therefore, having multiple angels watching over us, is a sign of great protection, and also an indication of a promising future. If we are one of the angels in our dream, then likely, we have done something good and pure, we are planning to embark on a journey of spirituality, or planning to do God’s work. A single angel indicates a purity of purpose and action. Femininity is associated with the Venus symbol, which captures love, beauty, prosperity, and fertility. Masculinity is associated with the Mars symbol, which captures war, savagery, guardianship, and virility. The masculinity or femininity of the angels in our dreams, also constitutes part of the message that they carry. A calm expression indicates that we may need some protection from the daily noise and activity. Finally, actions and expressions are also important. What did the faces of the angels convey, and how did we feel in their presence? A calm expression indicates that we are looking for some peace and quiet. Our life may be hectic at the moment, and we may need some protection from our daily noise and activity. We may be seeking sanctuary, some time for reflection, or spiritual comfort. A happy expression signals that we are feeling confident about our present and future. It may also signify a recent positive achievement, or the expectation of some imminent good news. A sad expression suggests future challenges and possibly heartache. However, we have a guardian angel watching over us, so we will ultimately prevail. An angry expression implies some mistake, wrong-doing, or sin. We need to admit our mistake, make amends, and try to do better in the future. Similarly, the actions of our dream angels also carry meaning. An angel that is brandishing a sword in warning, will have a different message than one who is handing us his sword, or one who is standing still, with his sword pointed to the ground. If we are being handed something, then we may need to perform an important task, or go on a quest for our spiritual well being. The nature of the task or quest will rely on the object handed to us. On the other hand, an angel standing with his sword pointed down, may be guarding us from something. Perhaps we need to be vigilant, check our spiritual defenses, and watch out for sinful temptations that may lead us astray. Actions may also indicate immediacy of the message, in particular, whether we need to attend to it very soon, sometime in the near future, or NOW! The environment surrounding our angel is also important. 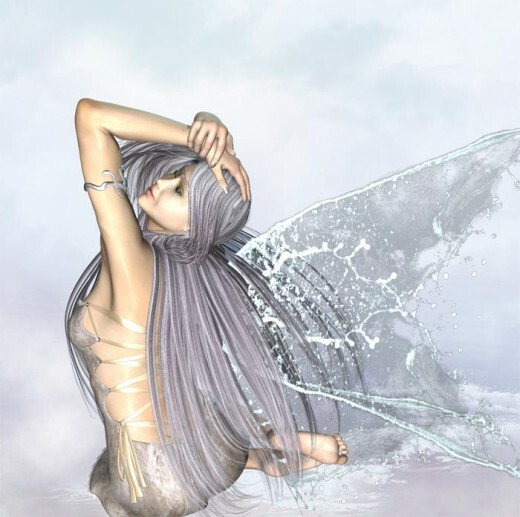 An angel standing in the middle of a storm, signifies spiritual turbulence, whereas one who is standing in a calm pool of water, signifies peace and relaxation. When we dream of angels, there is always the question of whether the angels are real and sent by God, or whether they are a manifestation of our subconscious mind. Studies show that a large percentage of Americans believe in angels. A poll in 2008 by the Baylor University Institute for Studies of Religion, shows that 55% of 1700 respondents, believe that they were protected from harm by a guardian angel. A 2007 Pew poll revealed that a whopping 68% of respondents believe that angels or demons are active in our world. Up to 20% describe encounters with either a heavenly or demonic being. However, some argue that angel dreams and visitations are the result of our subconscious mind only. They further propose that visitations that occur during the day could be the result of lucid dreaming. It could also be the result of a hallucination or trance. As with all things spiritual, that is difficult to prove or fully disprove. The belief in angels, I think, is a very personal thing. However, if through belief we gain hope, solace, and spiritual strength, then isn’t that the very purpose of an angelic guide and protector? And if so, then perhaps angels exist within us, if we but dare to see. Fallen angels have always had a strong allure to the human psyche. 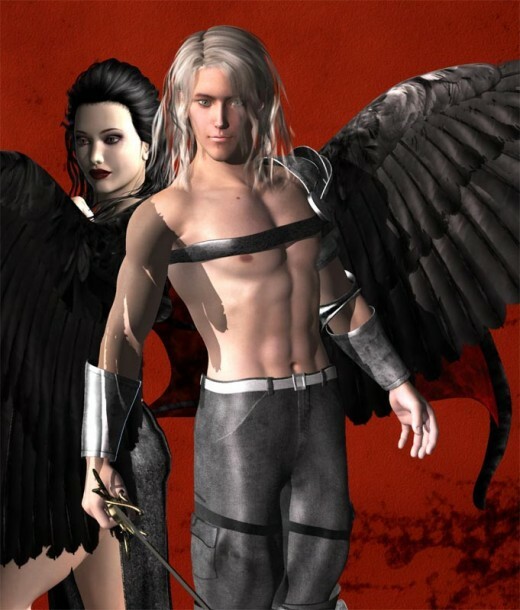 Fallen angels are exciting and dangerous because we can never predict their behavior. They are a wonderful fantasy and a beautiful dream. However, if we constantly seek the excitement of darkness, it will surely overwhelm and destroy us. We frequently dream of water, because water is such an important part of our lives. Here, we consider how to interpret our dreams about water by analyzing its cultural symbolism, and how that relates to our emotions and actions. I was waking from a dream, I didn’t see the angels but they were singing. I think I was singing with them. The last word sung was what I heard.. It sounded like con-something. It seemed to convey absolution, cleansed., joy and many other meanings. It was a pure word and all these descriptions pale to the actual meaning. I want to know the meaning behind this. I actually felt very good after hearing it. So random but I just woke up from a dream. It was a normal day then a storm happened me and my friend we’re driving then two tornadoes appeared you knowing me I’ma try to outrun this thing . Well eventually It was on each end of the road but one kept spiraling back up and down so I timed it and tried to drive through at that point the car dissapeared my body lifted up with my arms stretched up like a cross and then there was a big blast of flames then an angel appeared to me and said Johnathan Jesus has came to you several times and still you kept turning him away . Then I woke right up. I’ve never had a dream about good or angels I’ve just had scary dreams in my life. But never one about an angel I have made crazy poor decisions in my life and I know this. Plus I’ve been in a fight with myself for past 8 years if God is real and I’ve so I thought came to terms that I don’t believe it’s real. But I feel ashamed when in a fight with my parents and they bring good up and I boldy say I don’t care I don’t believe. Like I have lil tears in my eyes right now cause I can’t come to terms of what this dream really is . Cause it’s not a normal dream. My mom said my uncle before he had a heart attack he had something like that happen . And just has me shook up. In 2017 I started having dreams and they would happen and not long after that I started having those dreams I’m sorry to having Vivid detailed dreams that confuse me. I grew up in a First Assembly of God Church always been a believer but these dreams that I had confuse me the first thing that I had where’s the night before I went to sleep I had. For a sign or anyting to let me know if I was on the right path that night I had a dream and I was in a beautiful place words couldn’t describe where was that it was just very beautiful I was walking up 6 steps and there was exotic animals mythical creatures all around and this is very colorful miss beautiful there is was a lizard crawling in the path I try to reach down I pet it and it froze so I kept on walking up stairs are the steps and it led me 2 water and for some reason I leaned my ear to the water and something swam up and whispered in my ear “mother Mary wants me to let u know that your doing great keep up the good work” and then I woke up very confused. 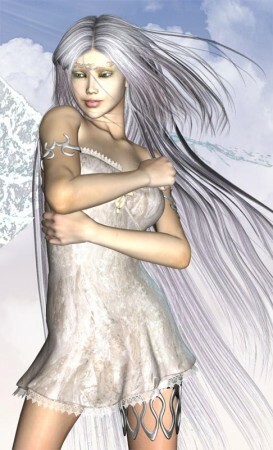 My Fiancee had a dream and she was in the the middle of a circle of angels like she was being protected and to my surprise I was one of the angels but with a lot of difference.. like i had long hair and it was white.. I was holding a sword and in a spartan like outfit and I had wings as she said.. the setting was like a war and she was being protected by me and a group of angels with an old man that is all white and like a hermit. To my surprise also I had the same dream but it was years before I met her.. on my dream I was protecting someone dear to me.. fighting with huge monster like beasts.. surrounded with a lot of em.. It all felt so real when I had that dream.. when I woke up.. I can still feel the tight grip on my hands like holding a sword and on my back was like you have a feeling you have wings.. I do not have normal dreams since I can remember.. every dream I had up until now happens in real life..
Can anyone enlighten me.. weird part about this is I always see the number 6 in single or multiple 6 66 666 6666 66666 and so on.. I am very confused to what is going on in my life..
For those of us who dreamt about angels and heaven and yet we are not religious, what is It really telling us, is it that we are the chosen one. I am just curious and I seriously want to know. I have thrice dreamt about an angel but the last one that got me amused. We were all gathered in a field and then the angel of god came down from heaven ,his wings and his gown were all white and he was holding a sword. I think I really do not remembered What the angel of God said but I remembered a guy challenged him and went against him and then the angel brought out his sword and strike him by cutting him into two. But why am confused here is that guy happen to be the guy am crushing on here on earth wishing he could just talk to me. So I just want to understand what the angel is saying to me..
You should stay away from him. Is archaengel Michael!!! He came to protect you from someone who is in yr life charming but evil. It could be friend or lover ….good luck! I had a dream when I was a younger and it was about when me and my family were in a room in a little house and we all were just talking but we were scared because some of them had a scared face on but the thing was there was two snakes on was a white snake and a black snake and there was two holes beside the two snakes beside the white snake there was a beautiful world where everyone was happy everything was peaceful there to and when I looked at that world I just smiled and on the other side there right beside the black snake there was a scary creepy world where everything was the opposite of the good world it was dark and some of the creatures were killing each other like if there was a war going on and when I looked through that hole I was just sad with a scared face on also the thing was the two snakes could talk and both of the snakes were trying to convince everyone that was to enter there world hole but all of the people were voting on who would go in the other world and well this boy and me got picked to go in a world we could go in any of worlds so the boy and me agrees to go to the peaceful and beautiful world so we did but before we entered the boy and me hold hands and after we hold hands we both jumped in the hole together at the same time and well when we jumped there was like different time lines in the hole and different types of worlds but the thing all of those different worlds that were in one had in common was that they were all peaceful and beautiful and bright the boy and me that jumped to that beautiful world we both were falling down through every nice world but we didn’t make it to the end because I woke up with a simle on my face that morning but I think if the boy and me did make it to the end we both would have been in our time line that we supposed to be in but the only difference would be that that world would have been peaceful and beautiful. I had a dream when I was a little girl and it was about the world ended everything was on fire and everything was burned after everyone died everyone was in a huge big large line with there family but the thing was that everyone was in hell and in one side there was god with two angles beside him and on the other side was the devil with his two little like creatures things and slowly the line of people moved there was a fire hole right in front of the person the fire hole had dean burning people grabbing the person that was in front of the fire hole those burning dead people were the people that went to hell for not believing in god but the line continued to move there was some people that were crying but not god told every person if they believed in him and if you said yes then god would send there bright angles to come get you so you could go to heaven and if you did not believe in god then you would fall down the fire hole like the other people who said no when it was my family’s turn all of them said yes and the two angles took them up to heaven and when I was the last one I was scared and when god told me “do you believe in me” I stayed quiet for a few minutes and while it was silent I was just staring at the fire hole with a scared face and in my head I was just repeating to myself “I do believe in you” I was telling god that and I think god knew what I was saying in my head because he was talking to his angles and his and his two bright angles kept looking at me and when they looked at me I looked at them and they just smiled when I think I was going to say yes but before I could say yes to god I woke up from my dream and then when I woke up I was just confused. I had a dream where i was surrounded by little demonic dog looking creatures with bodies of dogs, necks like snakes, and heads like goats but with teeth like a lions and had red eyes and they were all trying to bite my feet but everytime they would strike it would be like they are hitting a barrier and i saw a man appear in front of me dressed in all white, had a big smile on his face, and had a dove on his shoulder and I became frightened and asked who he was and he said “do not be afraid, for i am here to protect you and comfort you!” Then he swept away all the creatures trying to bite me and they disappeared. then i hugged him and cried on his shoulder because of the fear that was still going through me and he calmly comforted me and said that i am alright and that he will make sure no one harms me and that God will always protect me from evil and he said that one day i will not be afraid or cry anymore. When i woke up from the dream i felt a sensation of comfort and that someone was in the room watching over me then i fell back asleep with a great big grin on my face thanking God for watching over me and sending his angels to peotect me from harm or anything evil. 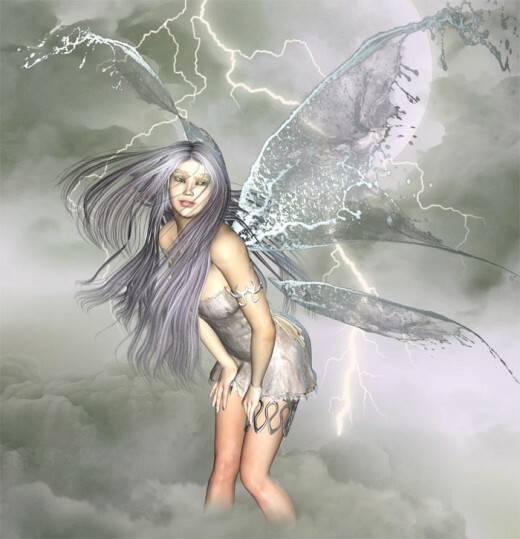 I have always had very vivid dreams and the ability to clearly recall them, even from my childhood and even though I have had dreams in which I could fly, I have never dreamed of Angel’s or angelic beings, previous to the following dream. In my dream, I am with a couple of my closest friends (though I never see their faces I can feel the connection between us) and I am looking at the sky as we are driving down the road, I notice, what appears at first to be large birds, flying in and out of the clouds above me, the sky is blue and bright, unusually bright actually and there are white fluffy clouds scattered across it. I’m not sure at what point I realize that these aren’t birds, but I tell my friend that is driving, to stop the car! then we are standing on an empty street, myself and I am not sure how many others because I don’t see them, only feel that they are there as I watch, at least 5 or more, extremely large Angel’s descend around us, forming a circle around us. They are all dressed in different colored garments, but they are all very bright! there is a fair amount of what looks like gold on the armor chest plate of the largest angel directly in front of me and they all carry various items (though I cannot recall any specific item which stuck with me) these Angel’s were all incredibly large, roughly the height of a 3-4 story building and I wasnt at all concerned with the gender similarities that would have giving any indication as to what energies they were projecting, though I felt nothing but peace even surrounded by them. I would also like to note that I have had many bizarre dreams throughout my life, but nothing compares to the message I received in this dream. I heard a kind, yet extremely powerful and soft voice in my head and I was suddenly hyper aware that everyone around me was also able to hear this voice. The voice said the following to me: “A shift is coming, with this shift your understanding of all things will change. your consciousness must evolve, you will recall what was before and you will understand all that is. you must be prepared for this shift, all you know will cease to be as you know it and you will know this shift and they will look to you and you will guide them with love” I wake up directly after the I FEEL the word love as this is the only word I do not actually hear. What can this possibly mean?? (I feel it relevant to mention that WHEN I was very young, my mother once told me that when I was born I had no name for three days, on the morning of the third day in a state between sleep and awake, my mother says that a ray of light caught in a prism in her window cast a rainbow across my sleeping face in her arms and she heard Archangel Michael whisper my name to her and my one and only birthmark is a clearish looking mole that actually isnt a mole, directly in the center of my forehead just slightly above the center of my eyebrows) not sure why I feel this is relevant, but I have learned not to question those things. I dream of a black angel chasing me with an angry look and speaking in a strange language and as i was starting to pray in the same language as the angel did a white angel came and chain up the black angel in chains. My dream was a angel of fire .And when i reach for HER She touched my hand and electricity shot through my body and my sister-in-law who was hold my hand also saw her and felt it. Your angel is protecting you from others. He will not let you fly away as its not your time to cross over, But he will always protect you..
in a dream I was walking in a crowd and feeling soooo afraid but there was this light skinned lady who kept following me, tried to run and she kept following me so I turned back and tried to fight her but she was a spirit. When I tried to run away I felt my left arm being grabbed which felt soo real and in a sweet voice she said “I am your angel of war Ntandoe” and then I woke up. words cannot explain the feeling i had when I woke up, only tears falling….up to now im trying to figure out the meaning of that dream. I believe in angels, and more so now. I had to fly to a business meeting and while I was looking out the window at the beautiful clouds I saw a white flying object I believe it was my guardian angel watching over me. I’ve always dreamed of seeing a real angel. Well about 3 nights ago, I had a dream that I was looking up to the sky and an angel flew right in front of my eyes. She was beautiful, I’m assuming my guardian angel is trying to show or tell me something. What does it mean when an angel kisses you on the forehead then leaves in a bright brilliant light , no words spoken ? I felt like I was awake. What does it mean when an angel kisses you on the forehead then leaves in a bright brilliant light , no words spoken ? Had a dream of several angels. There were armies battling. Angels fighting angels with huge swords. One group of angels lived in a big house and they were attacked, so an angel from their group built a sound barrier for a roof. It started out on a paved road there was a creature lying in the road when upon inspection was an angel discovered. Pulling back the clothing you could see the wings attached. Then there was a book at the end that they were signing. But the sound barrier helped as they were weakened by certain sounds? Was odd. But a neat dream for sure. It’s true that life chances . Have faith in God that he will change situation to the best even if things are going wrong. I woke up from a dream to which I had 2 huge angels dressed in white bringing me back from some where. That is the only thing I remember. I had a dream I was surrounded by many angels and they all looked different. One who was a muscular man that was all blue, he looked very handsome and strong, a little girl wearing a golden Laurel crown on her head and she came up to me. She was beautiful she stood out from all the angels and so did the blue angel. There was a portal coming from the clouds with a golden rope ladder and ray of light shining down. Also I opened a door and I looked to see what was in their. It was the world that was transformed into a lounge. The fire place was huge volcano’s. The sealing was the sky, the mountains was the wall paper and the carpet was green nature. It was incredible it was huge it looked like the universe. This dream could mean that God wants to reveal or show you something. The scriptures say when Jesus went up to heaven, the Holy Spirit came down and is with us to this day. One of the gifts of the the Holy Spirit are remembrance. You can pray that God helps you remember where the angels had taken you. God Bless.